With due deference to all the Boffins who sort out our technical stuff for us, the real reason why we build and fly is the human, emotional involvement. Models we have hand built carry our souls into the air, and have lives, just like the rest of us. 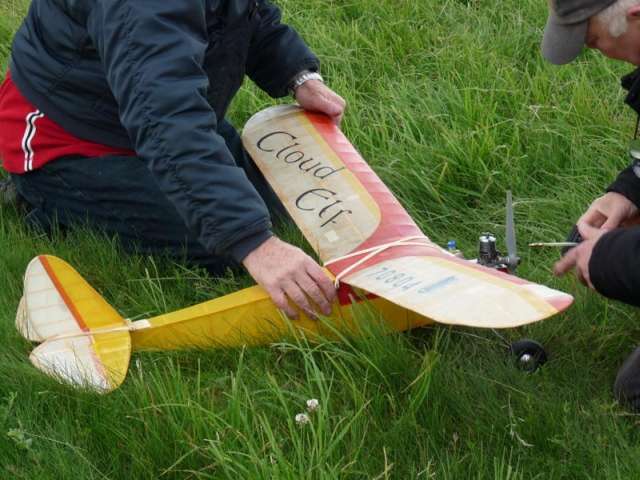 About a dozen years ago, being rather diffident in my choice of R/C trainer, I bought the Cloud Elf plan from Tony Penhall. This was also my first foray into Vintage modelling. A geared 400 with ni-cad batteries would drag it into a (calm) sky, but there was no penetration if the plane were downwind of me. However, it was a start. At its best ticking over in a clear sky with light shining through the tissue covering, it was a pleasure, but limited to perfect conditions only. When larger, more powerful models took it's place, it's days were numbered...until I learned about the event known as the Bowden Trophy. I had the ideal model. Out came the radio gear, and in went a twenty year old Indian 1.3 Mills. The 2009 Nats provided the ideal event, in perfect weather. 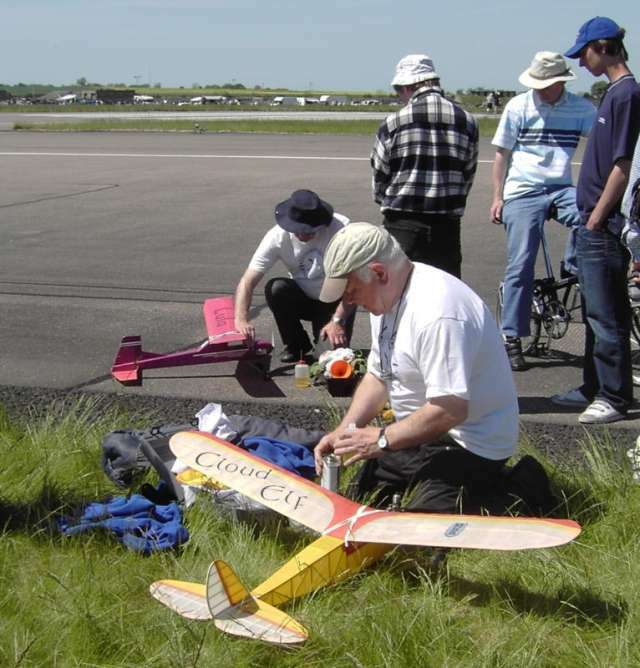 Since I was a) knackered after Saturday's F/F Glider event and b) terrified at the thought of trying to start a motor in front of you lot, we arranged for Bernie to fly it by proxy. This was the Elf's big day, coming seventh in a very high scoring event. 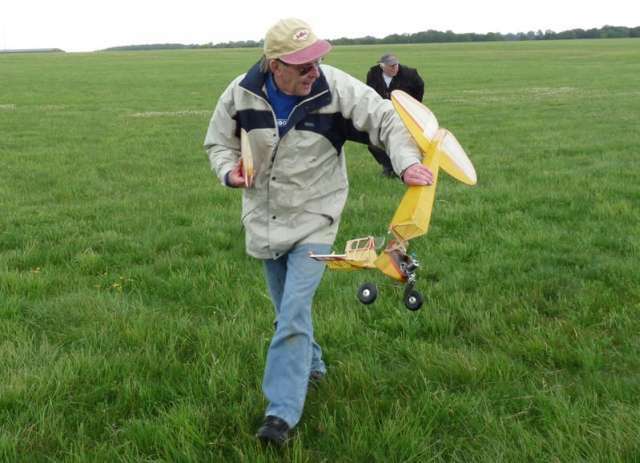 It had a consistent and safe take off run, with never a hint of the dreaded ground looping. Bernie became the owner of the model shortly afterwards, fought bravely through the destructive 2010 event with a frantic repair session between rounds, and then came the Dunsterville memorial. He will, I expect, blame the weather conditions, but please note the complete lack of remorse in the face of the perpetrator of the final disaster, as he watches the distraught builder carry off the remains.